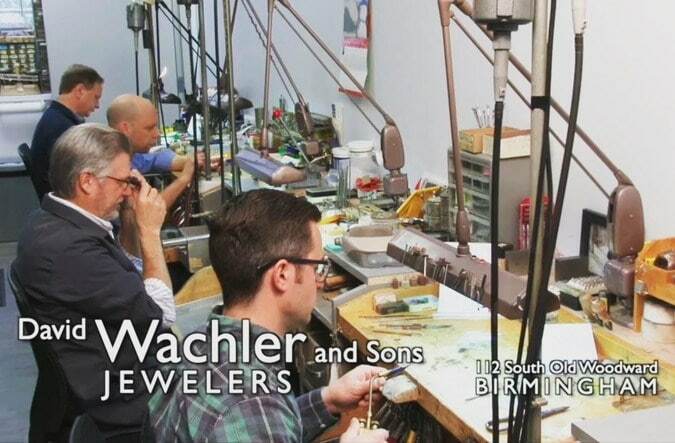 David Wachler & Sons Jewelers has been a staple in Birmingham for the past 30 years. The family-owned company began in 1922 with its first store in Downtown Detroit and in 1950 moved to the corner in Northwest Detroit. Still in Birmingham, we design and manufacture our own custom jewelry specializing in rings of marriage and fine jewelry pieces. Copyright © 2019 David Wachler & Sons. All Rights Reserved.